I had the incredible chance to see miss Emma Stone up-close at the Louis Vuitton show arrivals on March 05 in Paris. Emma arrived on the ‘red carpet’ with her team, including her stylist Petra Flannery. 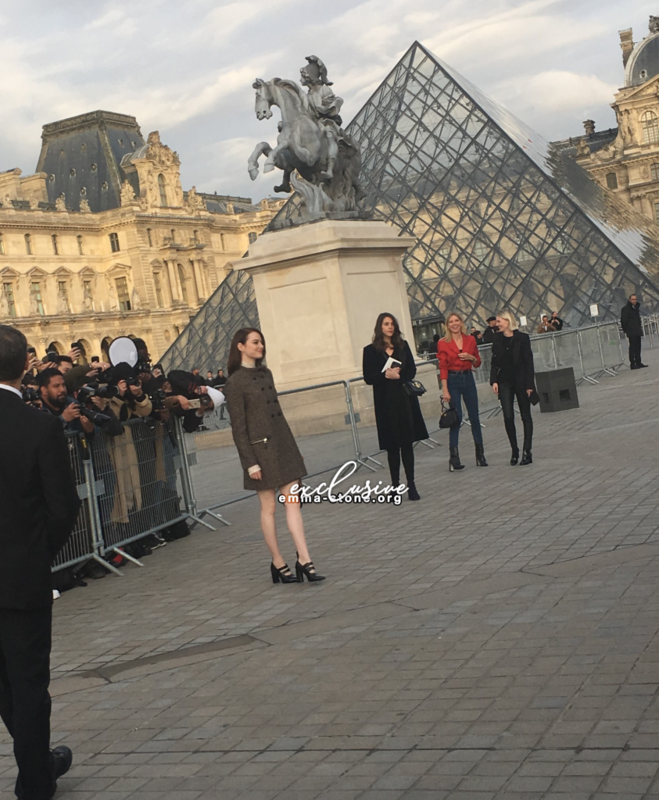 As she walked towards the Louvre, she didn’t stop to allow paparazzis to take pictures. She didn’t know she had to stop for them ! So they booed her ! Emma instantly came back to the spot and let them take her picture with one of her cute grins and a swirl. Emma looked lovely in every way and I am grateful for this precious moment. Hope to see her again !